Marion Mitchell Morrison, more popularly known as the infamous John Wayne was an American producer, director and actor. 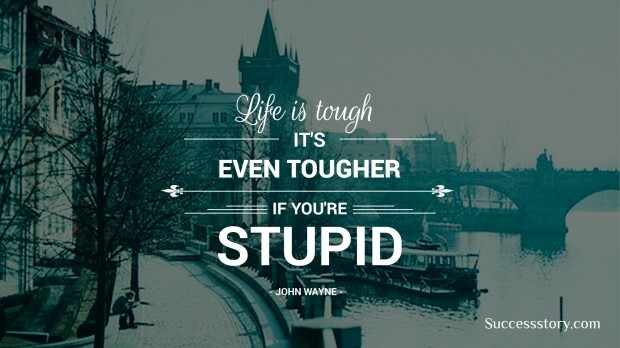 He had won the Academy Award in the year 1969 for True Grit. Some of John’s other popular films were released in the year 1962 and include ‘Hatari!’, ‘The Longest Day’, ‘The Man Who Shot Liberty Valance’ and ‘How the West Has Won’. Wayne’s death was due to stomach cancer. He died in the year 1979 in Los Angeles, California. John’s net worth was estimated at US$ 50 million. 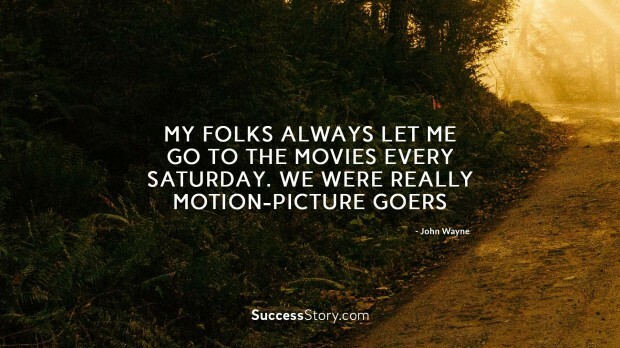 "My folks always let me go to the movies every Saturday. We were really motion-picture goers "
"Life is hard; its harder when you're stupid"